Twenty years ago, phones and events didn’t mix. Communicating your team’s whereabouts in a crowded venue, or digging up an important email on the fly? Not a thing. And if you wanted to document your event, you had to hire a photographer — and wait days to see the results. Today, everyone has a phone in their pocket. Your attendees use their phones to share your event on social media; your team uses phones to coordinate and organise. But phones aren’t just offering us a myriad of conveniences. The age of the smartphone is actually altering the experience of events — and the events themselves. Increasingly, people will use phones at live events for convenience, engagement, marketing, and even — counterintuitively — disconnecting. In recent interviews with 20 music and technology tastemakers and a survey of 50 live music venues, we found that phones came up again and again. Here’s what the future of smartphones at live events looks like, based on our survey and other recent studies. Less time spent waiting in line at the bar means more time spent watching a live event — a win-win for both the audience and the venue. After all, your goal is to create the richest, best live event experience possible. Phones help with that. With smartphones, everyone is a storyteller. Anyone at a live event is a potential promoter, sharing what they love about the band or venue with their followers on social media. Via apps like Snapchat and Facebook Live, event-goers live broadcast authentic experiences right from their phones. Imagine hundreds of short promotional videos shared far beyond the confines of your venue. That’s what happens when phones integrate well with live events. To capitalise on this phenomenon, many venues are encouraging fans to become social influencers. To assist, they’re providing picture-worthy backdrops, selfie booths, and custom event hashtags. Nearly half of the venues we surveyed think it’s important to know which of their fans are the biggest social influencers. Then, they can capitalise on this information at live events. What if fans could buy tickets the moment they discovered a show on Facebook, a blog post, while reading an email, or listening to internet radio? They key is to make phone purchasing seamless and easy. 98% of venues we talked to said enabling ticket sales on new platforms will drive growth in coming years. An integration between Facebook and Eventbrite already allows fans to buy tickets to live shows on Facebook Events pages. Ticketing companies could increase ticket sales by allowing fans to buy tickets on popular sites and apps — like Bandsintown and Spotify. And one in three ticket purchasers already research their next live event on their smartphone during a show, according to a study commissioned by Google. There’s a whole market for impulse event ticket buys on phones — but it has to be made easy for buyers. Taylor Swift and Coldplay made headlines for giving fans wristbands that lit up during their performances. That’s just a gimmick, though, compared to some of the possibilities of technology for audience engagement. Beacons, small wireless devices that tap into the Bluetooth in smartphones, hold a lot of potential for creating an engaged experience for fans. For example, beacons could work with accelerometers in smartphones to create “heat maps” of audience motion or pulse energy. These biometrics could then trigger special effects during the performance. “We’ll allow the audience to impact the show as the tech gets cheaper and smaller. The visuals and music will be more reactive,” said Max Pollack, a Founding Partner of MATTE Projects. Undivided attention is a hard thing to come by. Instead of fighting that battle, live events should capitalise on people’s attachment to their phones. Start with personalised smartphone apps that enhance the experience. Perhaps you’re thinking: “Don’t encourage smartphone usage! They’re ruining live music events.” And you may have a point. While some artists and venues love the promotion and engagement they get via fans’ smartphones, there’s a time and a place to pull your phone out. Artists like Guns N’ Roses, Alicia Keys, the Lumineers, and Dave Chappelle take advantage of the technology that Yondr has created. Their smartphone case automatically locks phones when fans enter a predetermined phone-free zone. 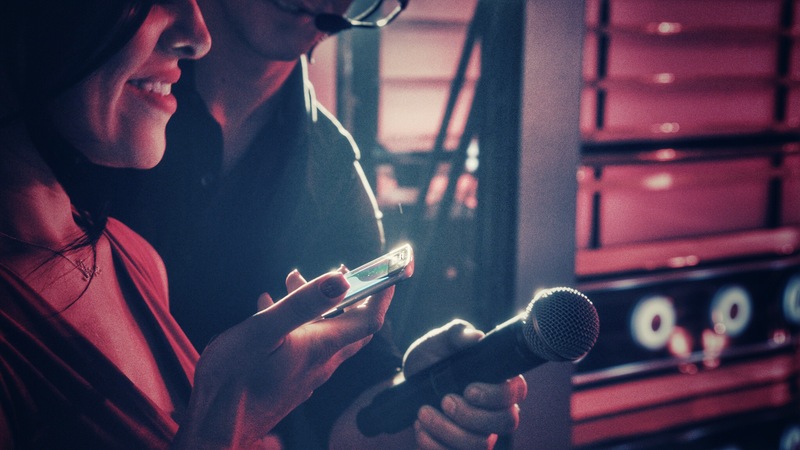 Want more can’t-miss technology insights from music industry tastemakers? Check out The Future of Concert Technology: Predictions from 20 Industry Tastemakers.